Please note: This analyzer is no longer manufactured. However, Thermo Scientific will continue providing product support until further notice. 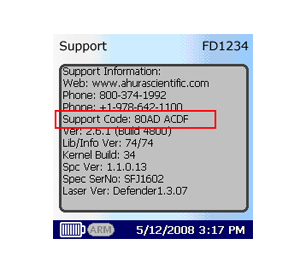 To login to the Customer Support Download Center, enter the Serial Number and Support Code from your FirstDefender / AhuraFD. The Serial Number is printed on a label affixed to the back of the instrument. 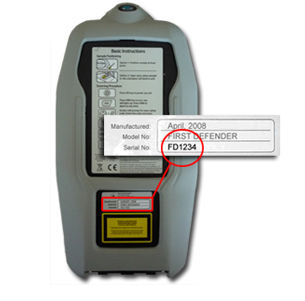 NOTE: AhuraFD/FirstDefender serial numbers are identified by the letters FD followed by 4 numbers. No other configuration is valid. 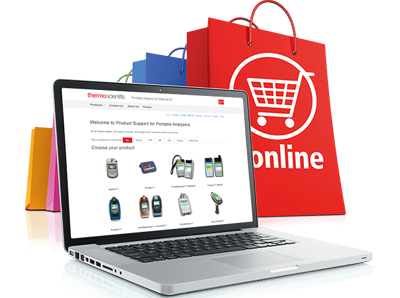 Select Tools >> System >> Support on your instrument to obtain the Support Code. To obtain a valid Support Code, please ensure that the time, date and GMT zone fields are set correctly. Please note: the Support Code changes on a daily basis.